4 What Is TDW Diamond? 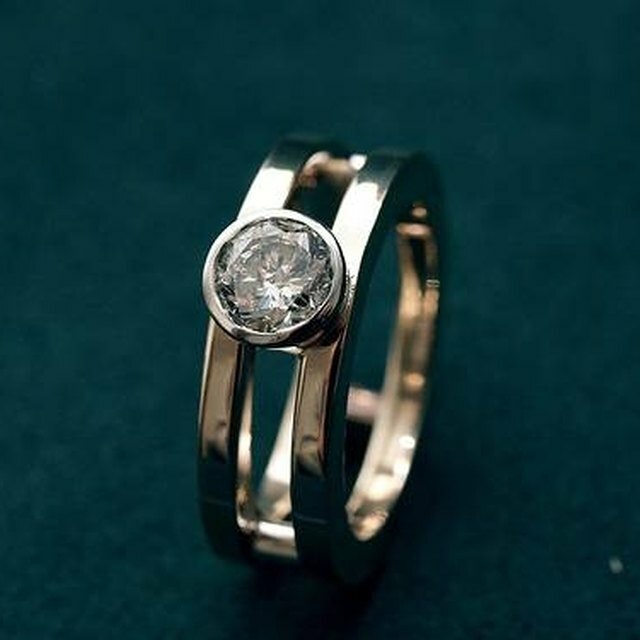 Jewelry fencing involves the criminal act of theft and resale of stolen goods. It is a complex criminal activity in that it involves several individuals working together in a premeditated fashion to perpetrate the crime. In its simplest sense, fencing occurs when jewelry is stolen and then sold to the public for market value. The fence is the individual who sells the stolen jewelry knowingly and works with those who have acquired the stolen goods to make a profit. 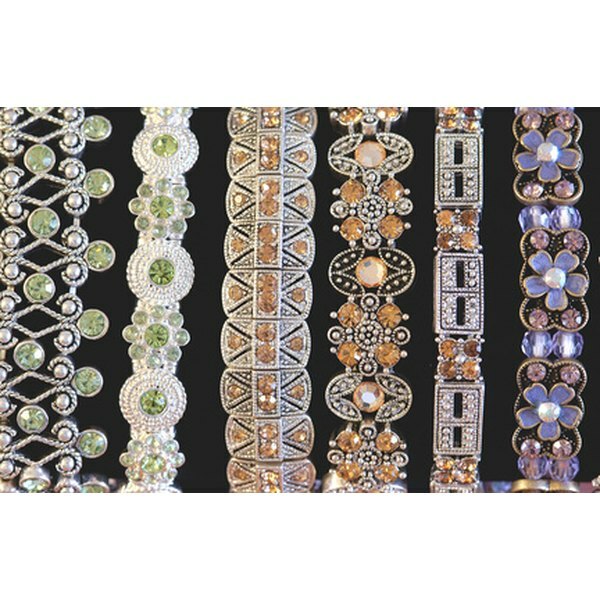 The jewelry industry loses more than $100 million per year due to jewelry fencing, according to the FBI. There are three main targets of jewelry theft. Once the theft occurs, the jewelry is fenced in a separate location. The first target is the traveling salesman, who works for a jewelry wholesaler. The traveling salesperson may carry millions of dollars in jewels like diamonds, rubies or sapphires with him in a suitcase for use or display at jewelry shows. A theft ring may target the salesperson, who rarely travels with security, in his car or hotel, when the jewels are left unsupervised for a period of time. A second target is the retail store. This is called a "smash and grab" robbery, where thieves break in and steal all the gems they can carry. Finally, a residential burglary may occur where a criminal who has access to an individual's home may steal jewelry owned by the homeowner. A criminal can gain access to a residence either by breaking in, or by gaining access through someone already on premises. The latter case is often referred to as an "insider job" in that someone on the inside allows the criminal to enter for illegal purposes. A person acting as a fence is pivotal to the jewelry heist scheme. The fence is not the same individual who steals the gems. Generally, theft occurs by other individuals who then find a fence to convert the stolen jewels into cash. A fence may be a retail store owner or a jewelry broker. The fence will convert the stolen gems into cash by either selling them in a retail establishment to an innocent purchaser, or by melting the stolen jewelry into new pieces to be sold. A "flying fence" takes place when jewelry is stolen in one location or state, and an individual who is neither the thief nor the fence transports the gems to another state. Jewelry is transported by any means, including airplane, and is smuggled in a suitcase or on the person transporting the jewels. By fencing the jewelry in another location, it becomes more difficult to trace. The goal of a flying fence scenario is to distance the initial crime of theft from the sale of stolen goods. A stationary fence takes place when a retailer who has an established storefront fences jewelry for the crew. These stores can range in legitimacy from a pawn shop to a storefront in a booming jewelry district. The fence knowingly acquires stolen gems and sells them in their storefront for sale, either in their original form or once converted to another jewelry item. Fencing and complex jewelry theft involving multiple individuals acting together are investigated by the Federal Bureau of Investigation. They are generally not handled by local authorities as these types of crimes often take place across state lines, as in the instance of the flying fence. Crimes that involve interstate commerce are investigated by the federal authorities due to their extensive resources and experience in dealing with such crimes. Further, interstate commerce is subject to federal laws and not state laws, which may conflict from state to state. As such, the FBI has established a Jewelry and Gem Program to deal with this type of activity. Although a jewelry theft can occur anywhere, there are four main hubs for jewelry fencing: Los Angeles, Miami, Houston and New York. A theft may occur in another state or another country, but gems will often be brought to these locations for fencing due to the high volume of jewelry sales occurring in these areas, according to the FBI. What Is the Best Way to Sell Unwanted Jewelry? Can Mentally Challenged Couples Marry?